There are two astrological months (lunar months) in the calendar month of April. The energy prevalent for the first half of March is the lunar month Chaitra. The Moon will be carrying the energy of the lunar mansion Uttara Bhadra, a constellation inside of Pisces that represents the hidden wisdom that sleeps dormant in the “great waters’ of consciousness until we stir it to action by diving deep into the psyche, often accompanied with a great deal of trial and struggle. In many world mythologies there is a hero or god that has to dive into the great Ocean and wrestle a serpent who lies in the depths. This struggle represents the inner psychological turmoil we go through on the path of self-development as the soul matures through life experience, and the serpent itself is the wisdom gained from these struggles. In more esoteric parlance it is an important constellation for initiation and spiritual wisdom. The timing of this month is interesting considering that Rahu, one of the great karmic shadow-planets of vedic astrology, has been active for the last few months in the constellation of Ashlesha, stirring up a great deal of trouble for relationships and people’s personal lives as it forces years of repressed emotions and thoughts to the surface. What a fitting time to fight the “great serpent of the deep” of Uttara Bhadra! The friction caused in our lives by Rahu in Ashlesha sets the stage perfectly for the self-growth indicated by the Uttara-Bhadra energy of this month. On April 16th we move from the lunar month of Chaitra into the lunar month of Vaisakha. The lunar month begins on the 16th under the influence of the constellation Ashwini, bringing with it a fresh and fiery energy that is much needed after a pretty intense few months of transformation and growth. Ashwini is symbolically depicted by a horse, whose symbolism is very fitting for this constellation. The last two weeks of April are an important time to move from introverted self-reflection and growth into extroverted activity, initiation, and new beginnings. This is the time to get back on your feet and begin a new chapter in your life. It is an excellent constellation for travel, starting new projects, and beginning new relationships (both business and personal). Everyone’s favorite astrological occurrence, Mercury Retrograde, starts the month off. Expect the usual problems: miscommunication, vehicle problems, paperwork problems, contract negotiations coming to a standstill, computers breaking, smartphone dying, etc. The retrograde will last until the 15th, at which point it will resume normal motion in Pisces again. Mercury won’t be alone in its retrograde; Jupiter will also be going retrograde throughout April, moving backward through the sign of Libra. Jupiter’s retrograde doesn’t have the same kind of universally experienced effects that Mercury does. Instead, it tends to be very personalized based on the chart of the individual. Still, a few things can be said about it. Jupiter is an important planet for social and civic harmony, and its retrograde motion can lead to riots and corruption. On a more personal level, when Jupiter is retrograde it often causes a good deal of travel. On the 18th, Saturn will also go retrograde (by this time Mercury will have already ended its retrograde). Saturn’s retrograde is very difficult for the elderly and the sick, and protection can be sought by worshipping Ganesh or chanting the Hanuman Chalisa. This month there is a lot of energy moving into Aries. Venus, Jupiter, and the Sun are three of the big influencing planets for you this month. Venus is wanting to teach you about how to love yourself so that you can have healthy relationships with others, without projecting problems onto your partner. Venus is energizing the self all month, so I would recommend intentionally spending more time alone than normal so that its energies will lead to self-improvement, but I would NOT recommend doing any serious self-work such as therapies, ceremonies, etc. Venus is a planet of luxury and relaxation, so you need to reward yourself for hard work you’ve done and just enjoy some fun time with yourself. Learning to relax and be happy with yourself is its own kind of therapy and maturity. Jupiter is moving backward through Libra this month. Similar to Venus, it’s influencing parts of the chart that deal with relationships (both personal and business). On a personal level, Jupiter’s powerful creative energies will make you re-evaluate your relationship goals and aspirations, but will also in general just give you a lot of creative energy for business projects, personal goals, etc. A long trip is possible, especially if it is related to a spiritual teacher or a learned authority who you look up to. 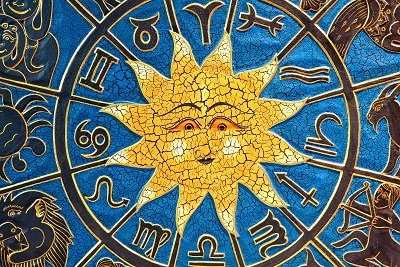 The Sun will enter into Aries on the 13th, where it will remain until about the middle of May. Aries is the exaltation point for the Sun, so this transit gives you a tremendous amount of energy. Aspected by Jupiter’s transit in Libra, the exalted Sun restores the physical body to health while illuminating the mind with positive aspirations and ambitions. The nice supportive aspect of Mars on the Sun helps turn this into actual activity, giving you the energy to accomplish large tasks and acquire the rise in status associated with such things. As lord of the 5th house, it also stimulates creativity (especially due to Jupiter’s aspect) and any “bright ideas” you have during this month are likely being inspired by the Sun itself. If you are expecting a child then this is an auspicious month for giving birth, and if you are trying to conceive a child these planetary combinations will generally ensure conception and fill the womb with supportive, nourishing energies for the child. The shadow planets Ketu and Rahu are still in a troublesome area, and will be for most of the year. Ketu is weakening the energies available for career and can make you uncertain about your destiny and what you want to do with your life. However, the abundance of strong, active planets this month will help offset this and give you plenty of power to gain clarity about your life purpose, especially after the 13th when the Sun enters Aries. The stage is set to make good life decisions. Rahu in the sign Cancer may still causing a good bit of stress, but most of this stress is due to not having clarity about your life work and purpose. Similar to the situation with Ketu, the abundance of positive, benefic, active planets in your chart this month should give you the clarity necessary to overcome this stress. The ascendant lord Mars is directing the energies of the whole chart into the 9th house, leading to lots of growth and maturity in the chart. This will open up the way for some great job opportunities in the ensuing months. Saturn is also in the 9th house, where it has been for about 2 years now, and from here it continues to test your principles and see how virtuous you are under pressure. Saturn is a hard teacher! Seek refuge in your spiritual guide. Taurus has been having a pretty rough run through March, and this will continue into the first two weeks of April (don’t worry, it gets better). The main issue is that Taurus is a very love-driven sign of the zodiac, and as such all Taurus ascendants are very sensitive to the state of their relationships both with their partners and with friends/family, and these relationships have been difficult lately. At the beginning of the month the all-important ascendant lord (Venus) will still be in a difficult place for relationships. Venus wants to teach you the changing nature of things, the buddhist “impermanence”, and help elevate your energies and attachments from the physical world into the spiritual world. Those living a more esoteric, internal life can actually thrive from Venus’ placement at the beginning of April, using it to ecstatic spiritual experiences and revelations. Those who are more worldly oriented will have a hard time with this placement of Venus for the first two weeks of April. On the 19th of April, Venus will move into Taurus and this is a MUCH better situation for you. It will bring a lot of healing energy with it and is a great opportunity to take a break, go on a little vacation, and just relax and be good to yourself. Take a break from serving everyone else and serve yourself for a change. This is an excellent month for a big move, especially if you’re moving to a larger city. Likewise it is good for people trying to sell a home. The Sun exalted in Aries takes the place of Venus and does something quite similar; it tries to elevate your energies to the spirit world. The main difference is that the Sun is overall much happier here than Venus was at the beginning of the month, the end result being that it can spiritually exalt and inspire you without having to remove things from your life. In fact, it could bring a good bit of money your way through inheritance or having to move due to a new, better job. The Sun is actually an important planet for your happiness and psychology, and its exaltation this month will help shed light on your psyche and illuminate some of the deeper elements therein that are keeping you from being content and peaceful. Mercury is causing some financial trouble in Pisces, where it is debilitated. It is retrograde for the first 15 days of April, which can lead to hang-ups with financial transactions, contracts, etc. This is NOT a good time to make any big financial decisions or to work on a large financial transaction. There will be clerical errors, contract issues, etc, if such things are pursued at this time. There can be a communication breakdown with people in your immediate family during the retrograde. Taurus is a fixed zodiacal sign, which can make it stubborn and unyielding. Jupiter is an important teacher for Taurus ascendants, because it helps elevate your energies from the self towards more selfless concepts. This month Jupiter is moving retrograde through Libra, which means that there are some lessons about service that still haven’t been learned and so a window of opportunity is being created for the next month to redress this issue. Jupiter in Libra is all about service, especially social service, charity work, serving the spiritual teacher, and helping those who are at a disadvantage in society. If you haven’t gone down to the local soup kitchen to help out, or made a nice donation to a local shelter or children’s home, then you are asking the universe to dish out your karma with a heavy hand this summer when Jupiter moves into Scorpio. Take advantage of this time to sublimate your karma with meritorious acts while the planets still support it and multiply the reward. So to sum it up, take some time this month for yourself, and then develop gratitude for your blessings and serve those who are less fortunate. Mercury retrogrades hit you the hardest, so you need to understand how to handle it and protect yourself. Mercury will be retrograde until the 15th, which might make you feel a little crazy and will put you in strange situations at work. You can almost certainly expect some problems with your house/apartment as well. My best advice to Geminis during a retrograde is to have someone in your life who you feel has a very level head and good intellect and make sure to run all of your ideas and decisions by that friend before you act on them. If they approve, then you can seriously consider the decision and act on it, but if someone who really knows you well and has a level head tells you that this decision or action is “not like you”, then you really need to pay attention. Because Mercury is debilitated in Pisces your physical body is likely to be stressed and tired this month, so make sure to eat good nourishing food and take some calming teas like Chamomile to relax your nerves and focus your mind. Venus will likely add to some financial stress in the first 2 weeks of April due to debts and expenses with your home, but on the 19th it moves into its own sign in Taurus. This can trigger a financial gain due to investment, but on a more personal level is a great place for personal development. Venus is the heart, and its moving into such a strong position on the 19th can reveal the deeper aspects of the heart to you. This can be important therapy work, personal spiritual retreat, or an experience with a loved one that leads to a lot of self-reflection. In mundane astrology, this is an excellent time to move into a new house or go on a foreign travel. Mars is a strong planet for you this month. Its presence in Sagittarius is good for finances, and it could bring a new business partner your way. However, it likely won’t bode well for relationships and can cause some serious fighting. Since Venus(the planet of love) supports Mars from an auspicious angle and Mars is lord of the 6th house of service, the remedy to the relationship issues is to perform acts of loving service for your significant other. Mars is essentially a planet of activity, and it is externalizing the energy of your chart this month into the world. This can be a good remedy to the retrograde Mercury issues since sitting around and over-thinking things won’t do much good this month. Instead, use the energy of Mars to accomplish a lot of tasks and stay busy with work, using your hands more than your head. The Sun causes a good bit of work and stress the first part of the month due to miscommunications and frustrations with a superior in the workplace. On the 13th of April this should subside and the Sun will move into exaltation in the fiery sign of Aries. This can actually increase your financial situation substantially, especially when combined with the extra martial energy mentioned above. It is also a good time for work-related trips, and could open up possibilities for additional lines of income. Saturn is still sitting in Sagittarius, where it tries to close off the channels that externalize us into the world and force the flow of energy back onto yourself for the purposes of self-development. This has been the trend for the last 2 years and will continue to be so for another year. Rahu and Ketu are still in the Cancer/Capricorn axis stirring up health issues related to digestion and stress, the latter being particularly important to monitor this month due to the Mercury retrograde. The Sun, Venus, and Jupiter are all prominent planets this month for Cancer ascendants. The Sun begins the month illuminating Pisces, where it re-orients you to the Dharma. “Dharma” here means universal law, and more importantly your own personal truths and life purpose. As the Sun moves through Pisces it refreshes and rejuvenates your energies and harmonizes your principles and views with your destiny. This happens every year, but there is something special about it this year; the shadow-planet Rahu is sitting in your ascendant transforming your sense of self. This is a powerful combination for initiation. On the 13th the Sun will take on a more active role and move you from personal development into external activity, opening up new opportunities for a career while also turning the spiritual energies of the first part of the month into spiritual activities. This means that while the first two weeks of April are more introspective and transformative, the last two weeks will turn those energies outwards and result in life changes meant to bring your external environment more in line with the internal psychological and energetic environments. Venus begins the month in the sign of Aries, one of the most active signs in the sky. Venus rules the heart and represents the energies of the heart in spiritual development as well as personal romance, so it’s placement in the most active sign for Cancer ascendants necessarily engages the heart in a wide array of activities encompassing personal, spiritual, and professional areas of life. Similar to the effects of the Sun described above, the alignment of Heart (Venus) with the 10th house of destiny and life-work can bring about peace of mind and emotional clarity in your career choices, life path, and personal sense of destiny. On the 19th Venus will move into a powerful position in the sign Taurus, which is great for establishing new sources of income or developing current sources to yield more income. Esoterically, this placement is important for internal spiritual development and alchemy and brings such practices to full fruition and power. Jupiter is moving retrograde through the 4th house, which can cause change and some distress at home, but can also cause a great deal of happiness in matters related to Venus (mentioned above) due to the beneficial aspect of Venus on Jupiter this month. Jupiter is primarily supporting the 10th house of work and career, the 8th house of health, and the 12th house of debts/loss. This indicates improvements in all of these areas, but there is an important consideration here; since Jupiter is retrograde it won’t do anything all on its own. You need to make the effort to actually engage these areas of your life, and then Jupiter will give its blessings accordingly. Mars and Saturn in the 6th house indicate a good deal of tension and activity, especially in the form of trials or struggles you have to go through. This is what we call an “upachaya” house, meaning its main theme is “growth through struggle”, and this will show in your life in areas related to work and education, but on a greater scale in your life-purpose (10th house) and creativity (5th house), meaning you have to struggle and go through some trials before you can materialize your thoughts and ideas into something concrete in your life path. Pretty much every planet in the sky is going to play a prominent role this month for Leo ascendants. The all-important ascendant lord (the Sun) begins the month moving through the 8th house of Pisces. The sign of Pisces is already an esoteric and psychological zodiac sign on its own, but for Leo’s, it especially deals with the unseen forces influencing your life. This can mean a number of things; these forces could be in the form of latent illnesses that rise to the surface this month, or they could indicate subtle parts of the psyche that you have tried to suppress and now the transit of the Sun is shining light on them. My main concern is health issues, but I think because of the benefic nature of the ascendant lord any subtle health issues can be taken care of and repaired, resulting in better health by the end of the transit on the 13th. On the 13th the Sun will enter into Aries and slowly move into a powerful state of exaltation by the end of the month. This is very good for spiritual practitioners because it elevates their path and practices, while on a more mundane level it exalts your status at work and improves your standing with authority figures. Venus begins the month in the active sign of Aries, a sign that indicates your principles, philosophies, and world-view. Venus indicates the heart, spiritually speaking, and its movement through Aries in the first two weeks of the month signifies a purification of the heart and its principles through devotion and love, but this purification comes through activity! Devotional music, worship, charity, service to others, and practices of compassion are a great way to take full advantage of the blessings Venus can give. On the 19th, Venus will move into its own sign of Taurus, a sign that governs career and life-destiny for Leo ascendants. Again, Venus is all about the heart, so this is the ideal time to recalibrate your work and life direction towards higher goals that give you a sense of emotional fulfillment. This, of course, can take place on a higher level than just a daily job. Regardless whether you work feeding the homeless, or work in a cubicle in an office, or in a farm in the countryside, your sense of life purpose and fulfillment can reach far beyond the bounds of a daily job. Given the right attitude and bearing, most activities can be used as a chance to cultivate happiness and peace. On a more simple mundane level, when combined with an exalted Sun in Aries this placement of Venus is excellent for increasing income and raising your status at work or in society. Saturn and Mars are both occupying the sign of Sagittarius, a sign that governs creativity, discipleship, and education for Leos. Saturn spends 3 years in each sign, so its presence in Sagittarius isn’t anything new. Mars is pretty much the exact opposite of Saturn; where Saturn is cold and slow, Mars is hot and fast. It gives a much-appreciated boost to your chart this month and helps free up some of the energy that Saturn has been sitting on and making stagnant. This means that the mind frees up and can break out of old habit patterns easier than has hitherto been possible for some time. Jupiter is moving backward through Libra, a relatively weak sign for Leo ascendants. The most important part of this transit is that from Libra Jupiter will cast a strong aspect onto Venus in Aries, benefiting the heart-opening spiritual work of Venus there as discussed above, and also working to ensure elevation of status at work or with an authority figure. It also casts a strong aspect into Gemini, which can improve financial situations, and into the Capricorn as well where it encourages selfless service and charitable work. 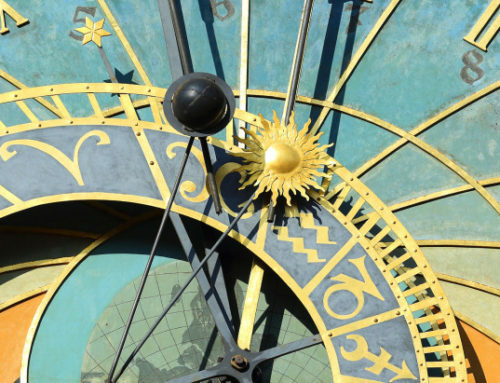 The first two weeks of April have the Sun in Pisces alongside a retrograde Mercury. Pisces is an important sign of self-expression and relationships for Virgo ascendants, and both of these planets (Sun and Mercury) are troublesome planets here for Virgos. The Sun pulls out some latent issues in relationships that can cause conflicts and separations, while Mercury retrograde creates its classical communication issues to accompany these troubles. Both of these planets operate better for you when they redirect your energy from the outside world back towards yourself. The best way to do this is to spend this time learning about your own belief systems concerning relationships and how you interact meaningfully with others. On the 13th of April, the Sun enters into the sign of Aries where it will gradually move into its exaltation state throughout the month. This can be used as an excellent opportunity to strengthen your health and restore the physical body, especially since the last month may have taken a toll on your health due to some emotional hardships. Saturn and Mars are both occupying Sagittarius this month, which makes it hard to feel optimistic about life. In fact, it can just make you feel overwhelmed and aimless about the direction your life is taking. This will begin to improve on the 19th when Venus enters int Taurus, which we’ll discuss below, and it will get substantially better next month when Mars leaves Sagittarius for its exaltation point in Capricorn. Until then, the best remedy is the worship of Ganesha (from traditional vedic standpoint) and to try to offset the doom and gloom of Saturn with the energy and activity of Mars. Turn your stress into action and attack the issues head-on. Mars is, after all, a planet of warfare. Venus starts the month in the sign of Aries, which is a rather difficult placement. Combined with the Sun and Mercury in Pisces (mentioned above) it causes relationship struggles or health issues with your significant other. It can lead to infections and health problems related to sexual hygiene and reproductive health. The cure to such problems arrives when the Sun enters into Aries on the 13th, though it may exact a financial toll. On the 19th, Venus will move into a much better place, taking up residence in its own sign Taurus where it brings a lot of happiness and peace to a troubled heart. Taurus is a sign associated with principles and values for Virgo ascendants, and the planet of the Heart (Venus) entering here on the 19th will make the last two weeks of April about love, forgiveness, and compassion. This is an especially good time to mend any rifts between you and family. Jupiter is going retrograde through the sign of Libra this month, indicating family karmas that still need to be worked out in your life. This could be as simple as doing some housework for the family, or could involve more in-depth personal time and emotional healing, or a situation could put you back under the same roof as your parents for a while. Jupiter is an important externalizing planet for Viro. Its main goal is to teach you how to hold your personal environment and your relationships to a higher level so that they become aids in your life journey instead of obstacles. Passing through Libra, it directs these energies (your environment, psyche, and relationships) towards your own sense of sustenance and support. What belief systems do you have about your own strength and stablility that need to be re-examined or just crossed out all-together. Yes, Mars in Sagittarius this month can cause a good bit of stress and anxiety, but when combined with Jupiter in Libra it can also open up some great windows of opportunity for self-growth and deep psychological work. A rough combination of the shadow-planet Ketu in Capricorn and the ascendant lord Venus in Aries has caused a great deal of stress lately. Venus is the planet of relationships, and being in Aries it is in the sign of relationships for Libra. The problem is that Venus isn’t that happy in Aries, and as lord of the 8th house(Taurus) it can end relationships or cause stress in them when it transits Aries, Aries itself being a sign of change and transformation. At the same time, Venus is the planet of the Heart and Aries is a fiery sign of purification, so the heart is being passed through the fires of Aries to purify it and teach you lessons about yourself, things about yourself you may not have known that are now being burned away. There is an important opposition in the sky between Jupiter and Venus that is worth examining in this regard. In vedic mythology, Jupiter is the planet of Brihaspati the Guru of the Gods who aims to teach the Dharma and lead all beings towards the highest modes of life, while Venus is the planet of a teacher name Sukra who is the Guru of the demons and nature spirits. These two mythological teachers are always at odds in the mythologies because they represent two very different modes of life; the life of dharma and the life of maya (illusion). The tension between these planets in the night sky right now while occupying the pivotal 1st/7th house axis of Libra and Aries is essentially the same opposition as the classical clash between these two great teachers. You have to decide which teacher you are going to follow, and which way of life you are going to cling to. Neither of them are very happy where they are; if you cling to Venus/Sukra then your heart is going in the fire for a while, and if you cling to Jupiter/Brihaspati then balance will need to be restored to your life forcibly by following higher spiritual principles. Saturn and Mars are both in Sagittarius where they have a strong influence on the Sagittarius/Gemini axis of the chart. This axis is associated with your strength, courage, principles, and values. Saturn and Mars together create a lot of tension here, testing your caliber and forcing you to examine the strength of your character. Mars is an important planet for relationships and family, so these two areas of life are where the tension will occur to test your strength. Saturn and Mars are both pinned down by the Sun and Mercury in the 6th house of struggle and servitude, so the beginning of the month overall is still pretty difficult. On the 13th the Sun will enter into Aries, and this should be the beginning of an upward turn over the following month. The Sun being in the watery and esoteric sign of Pisces for the end of March and beginning of April has been hard on a lot of people, and it makes it difficult to see the positive side of things and feel good about your life. No such problem for the last two weeks of April, when the Sun moves into its exaltation in Aries. As the lord of the 10th house of work and destiny, it’s exaltation in Aries will give you clarity and confidence about your future and your life path and make it much easier to be optimistic about things. A few days after the Sun enters Aries then Venus will enter Taurus and likewise become very strong. Since Venus is the lord of your ascendant, its strength in Taurus will improve your health and reinvigorate you, giving you the energy to make the changes necessary in your life. The Saturn/Mars combo in Sagittarius will still prevail until the end of April, so you are still being tested, but the strength of the Sun and Venus come mid-April will actually give you the energy needed to rise up to those tests and overcome them. On a material level, this is an excellent time to find a new business partner or make definite steps towards a career plan. On the 19th, Venus will move into Taurus, a sign associated with your health and well-being. This gives your ascendant lord Venus a great deal of strength, and the most obvious symptom of this will be a strengthing of the body and improvement in your health. The ascendant lord determines the flow of energy in the chart, and for Scorpios this month that flow is directed into the sign of Sagittarius, so let’s take a minute to try to understand the influence Sagittarius has in the life of Scorpio ascendants. The sign is ruled by the benevolent planet Jupiter and represents the support, sustenance, and power that you have access to in your life. The active, fiery energy of Mars functions well in the fiery and spiritually-inclined sign of Sagittarius, invigorating your body, mind, and energy in a way that allows you to make changes in your life, health, and wealth. The ascendant lord transiting this sign can restore the body to strength, increase digestive power, make you spend time with family, and even make more money. The Sun is moving through Pisces for the first two weeks of April, where it aspects and gives a great deal of strength to Mars in Sagittarius and Mars likewise strengthens the Sun. Pisces is a deeply psychological sign, and the Sun’s motion through here in the 5th house brings to the surface latent feelings and emotions, bringing them to light under the benevolent rays of the Sun. For Scorpio, the Sun is the foremost planet for understanding your destiny and life-purpose. Being aspected by your ascendant lord Mars from Sagittarius, the Sun directs its energy towards your concept of self instead of outwards towards career for now, helping to give clarity on who you are. On the 13th, the Sun will move from Pisces into Aries, where it will move towards its exaltation point later this month. This gives you the strength to overcome any obstacles in your way, and now the Sun moves into an even better relationship to your ascendant lord Mars, creating a trine between these two important planets (Sun and Mars) in your chart. Thus an increase in health and energy is expected, and you will likely be busy at work and in your personal life. Venus begins the month in Aries where it forms a combination called “Vipareeta Yoga”, when the lord of a malefic sign is in a malefic sign. The classical signification of this yoga is “victory after loss”, indicating that there may be initial hardships that are then followed by success in your endeavors. This combination began a few weeks ago and continues until Venus leaves Aries on the 19th. After the 19th, Venus will spend the rest of the month in Taurus, a sign that governs relationships and expression for Scorpios. Venus loves to be in Taurus, so this transit is ideal for all forms of partnership (personal and business related). Jupiter will be moving retrograde throughout the month in the sign of Libra. Big financial investments should be avoided, but it is a good time to travel and see family (until the end of Summer). A much-needed energy boost comes this month in the form of Mars transiting you’re your ascendant. Saturn sitting in Sagittarius for the last year stagnates the energy of the chart, making it difficult to move forward in work, relationships, and other areas of life. Mars is a fast and fiery planet that is basically the exact opposite of the slow-moving, cold planet Saturn, and when it enters the fiery sign of Sagittarius it will give you more energy to throw off the sluggishness of Saturn and make some meaningful changes. Mars is an important planet of finances and creativity for you, so it should be able to inspire you with some new ways to make extra money, or even give you a raise at your work. There are some powerful combinations happening in Pisces at the beginning of the month. Pisces is a very psychological sign on its own, and becomes even more important in this area of life for Sagittarius ascendants because it indicates sources of happiness, your home, your environment, and your emotional reality. The Sun and Mercury are both here at the beginning of April. The Sun is an important planet for your life principles and values, and its transit through Pisces alongside Mercury forces you to examine how your own life principles and habit patterns influence your ability to be happy and peaceful. The retrograde Mercury here is causing some issues with relationships and work in the form of communication problems or contract disagreements, but this should straighten out once Mercury resumes a normal motion again on the 15th. There may also be some problems at the beginning of the month with your actual house or room-mates. Venus begins the month in the fiery sign of Aries, which can cause some relationship stress or problems with children. Despite this, it is a good position for Venus to bring some money in your life in the first two weeks of April as long as you can channel the creativity of Venus in the 5th house of Aries. It is a good combination for trying to conceive a child as well, since Venus has a supporting aspect from its lord Mars that allows the energies involved in conceiving a child to be in harmony with each other. On the 19th, Venus will enter into Taurus, a combination that can lead to a lot of work for those in the medical field or service industry, and it is excellent time to exert yourself since such exertion will actually result in more money instead of just more work with the same pay. Taurus is a sign of growth and change, and Venus is an important planet for all relationships, so this is also a good time to freshen up your relationships through acts of kindness and compassion. On the 13th, the Sun will leave Pisces and enter powerfully into Aries where it will spend the rest of the month moving deeper into its exaltation state. The Sun is an important planet for Sagittarius ascendants because it rules the important “9th house”, which is Leo, and thus has control over things like your character, principles, values, as well as over matters of fame, success, and renown. When placed so strongly in Aries it opens up powerful new channels of creativity that can be turned into opportunities for promotions and raise in status at work, and those with children will find this to be a great month for their kids, especially in terms of athletics and competitions. Because of the supporting aspect from Jupiter in Libra, there are plenty of financial opportunities associated with this strong Sun for the last two weeks of April and first two weeks of May, but it involves a certain amount of entrepreneurship. If you can’t use your creativity to make more money then the opportunity will be missed. Venus is doing some great stuff for Capricorn this month. Its hard to appreciate how great and important a planet Venus is for Capricorn ascendants without being an astrologer, but of all the various signs Venus is by far the most important for Capricorn over any other sign. It begins the month in the fiery sign of Aries, and this can actually be a little too intense for most people because it purifies the heart (Venus) in the fire (Aries), which often presents itself as relationship problems or a personal loss that makes you examine your heart, making this a powerful transit for self-growth. On the material level, Venus focuses the energy of your career or life work into the psychological 4th house, making the first two weeks of April a time for introversion and self-work, even if that means going back to the drawing-board with a big project at work. It can also mean you will be doing a good bit of housework and renovations. Come the 19th, Venus will leave Aries and enter into the sign of Taurus where it will work immense good for you. Not only will this transit fill you with creativity, but it can also elevate you in your career as a result of new ideas or approaches to your work. For musicians this is an especially good transit becomes it acts like a Muse and inspires your creativity, Venus being the ruling planet of all artists. Finances will probably still be an issue in April, even though April should set the stage for a very good May. Mars and Jupiter are both important planets for finances for you, and both of these planets have some issues in April. Mars will spend the month in Sagittarius, where it will likely rack up some expenditures due to house expenses and/or travels. Jupiter is moving retrograde and this can likewise cause your finances to move backward as well, since Jupiter rules the main financial zodiacal signs for Capricorns. However, Venus and the Sun will both be in great places to raise your status, fill you with creativity, and get you promotions at work. So even though you may not see more money in your pocket this month, it is very likely that the work you do this month will pay off well next month when Mars enters strongly into your ascendant. On a more personal level, Mars in Sagittarius is great for personal spiritual retreats, spending time in nature, and working on the deeper aspects of the psyche. If you can find a way to get away from everything for a little bit this month, it should actually help trigger some of the creative energies in your chart. The beginning of the month has the Sun in Pisces, where it could cause some problems with contracts or your associates, and can cause health issues with siblings. Business deals and contracts are particularly troublesome due to the retrograde Mercury in the sky until the 15th, so if possible avoid any serious negotations until after this retrogade ends. By the 15th not only will the retrograde be over, but the Sun will have left Pisces and entered into its exaltation in Aries. This transit of the Sun in Aries is very good for your work. It can give you a new office or place to work from, and brings the exteriorizing energies of your work inwards to the psyche, where it illuminates you with new approaches and helps you design a new structure for your work. This is essentially a transit for clarity, so the last two weeks of April are great for preparing the way for the next step in your work and career. The two most important parts of your chart that govern finances are both active this month, so let’s take a minute to better understand how these planets can bring some money your way. Sagittarius rules actual income and profits, and it has Saturn and Mars occupying it all month long. Saturn here has been problematic because it causes expenditures and generally can block new sources of income, a problem it has been causing for over a year. To alleviate this, the much more fiery and energetic planet Mars enters here to join Saturn, which can help break up the financial stagnation you have likely been experiencing. The important and auspicious planet Venus has a nice aspect on Mars as well, which helps ensure a good change in your finances, especially for those who work in the service industry or medicine. The other important sign for finances is Pisces, which indicates your overall net wealth, possessions, and financial security. Since the lord of Pisces is in the sign of education for Aquarius, it is likely that financial stability may not come through this month due to job training and maybe some problems with management. Mercury is retrograde in Pisces as well, so there could be some problems with clerical errors that keep you from being able to get your job going like you would like to. On a personal level, the Sun being in Pisces can cause some health issues related to digestion, so I would recommend being on a stricter diet and taking care of your health. Mercury being retrograde here can cause some issues with your immediate family due to miscommunication, especially if there has recently been the loss of a loved one and you are having to figure out funeral arrangements and estate plans with your family. On the 15th the Sun moves into Aries where it will spend the rest of the month moving towards its exaltation. Since the Sun rules the sign of relationships this placement can likewise increase the strength of a relationship you’re in or begin a new one. This is a strong combination for new business partnerships and important contracts. Venus begins the month in Aries, where it encourages you to learn new skills. Venus is one of the most versatile planets when it comes to job indications, so these new skills could involve the service industry, art, medicine, or even the automobile industry. As the lord of the 9th house, Venus will also encourage you to work on developing your principles and world-view, maturing your outlook on life. On the 19th, Venus will move into Taurus where it does a lot of good; most importantly, it makes you really happy! Your living situation will improve, or the situation of your environment will get better because people/things that have been stressing you will leave or be resolved. Since Venus has a direct aspect on the sign that rules your career from this place it also improves your work and makes you happy with your job situation. If you are in a relationship you could end up moving in with your significant other during this time. Jupiter is moving retrograde (backward) through Libra this month, meaning that before you can reap its blessings financially there are still some things you need to learn and some new principles you need to develop. Jupiter is about governance and dharma, the universal laws. By moving backward into Libra it means that there are some personal values and skills you still need to develop that weren’t learned throughout the last year when Jupiter was moving through Libra the first time. Over the course of the next few months your views on finances and family will mature, and then Jupiter will gradually move back into Scorpio later this year where it can bring some great financial change and prosperity your way. A series of zodiac signs in 90 degree angles to them are what we call quadrant houses, or “kendras” in vedic astrology, and these four signs are always very important in how we energize and act in the world. Two important quadrant houses are very active at the beginning of the month, signaling a lot of activity that needs to take place, and since the quadrant houses are the ascendant and 10th house respectively, this work happens on your self/physical body and your career. The Sun and Mercury begin the month in your ascending sign Pisces, where they both cause some problems. 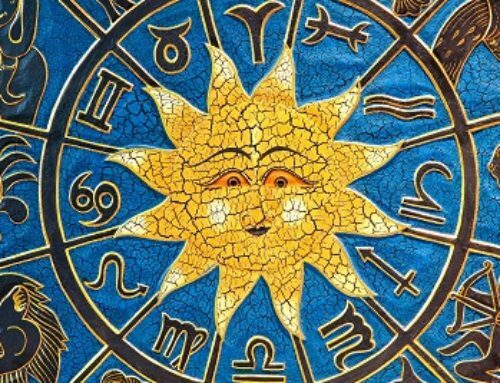 The Sun rules the troublesome 6th sign Leo, so it brings with it a current of struggle, trial, and growth with it as it moves through Pisces in the first 2 weeks of April. The best way to use this energy is to direct that trial and struggle towards your health and physical body, seeing it as a chance to work on your fitness and overall wellbeing. Mercury is moving retrograde through Pisces for the first two weeks, and when combined with the troublesome Sun this can cause quarrels in relationships and problems with your boss or superior at work. As lord of Gemini, Mercury takes on an important role in your psychology and sense of happiness, so a beneficial way to use this energy as it passes through your ascendant is to turn it towards self-reflection, education, and developing your communication skills. See any struggle that the Sun creates with others this month as an opportunity for you to develop your communication and connection to others. Venus begins the month in Aries, where it can cause some health concerns with the reproductive system or digestive tract. On a personal level, this deals with how you understand relationships and your ability to “digest” romantic problems and learn from them. Some of your fundamental ideas about what a successful relationship is can change during a transit like this, as the fire of Aries tries to purify the heart (Venus). On the 19th, Venus will leave Aries an enter into a much mroe peaceful and powerful Taurus, where it continues to work on your principles and values in life, helping you mature your world-view and develop a compassionate view of others and of your self. This is also an excellent time to pick up a new skill such as art. Jupiter moving backwards through the 8th house is problematic when combined with the Sun in the ascendant because it can lead to health issues related to blood sugar or the Liver. This movement of Jupiter can also cause some problems with managemet at your job, a similar theme to the problems the Sun can cause in the first 2 weeks of April. Once the Sun leaves Pisces on the 13th and enters into Aries then these problems should calm down and your health/job situation should begin improving again.